Min Ru, professor of mathematics, was honored for his contributions to complex analysis and geometry. The Fellows of the American Mathematical Society program recognizes members who have made outstanding contributions to the creation, exposition, advancement, communication, and utilization of mathematics. Election as a Fellow is competitive, averaging between 30 to 50 members a year, out of a total membership of 30,000. “This year's class of AMS Fellows has been selected from a large and deep pool of superb candidates,” said Professor Kenneth A Ribet, president of the American Mathematical Society. Ru is the second UH faculty member to receive the honor. 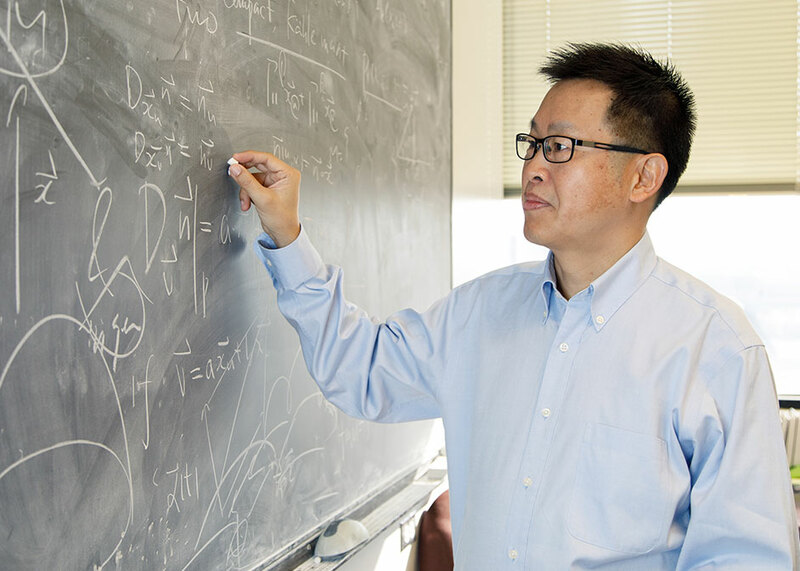 Ru’s body of research, started during his days as a graduate student, connects different branches of mathematics. Ru’s research explores the connections between two historical areas of mathematics: the Nevanlinna theory and the Diophantine approximation. The Nevanlinna theory, which was devised in 1925, deals with complex analysis and geometry. The Diophantine approximation, which was devised in the third century, is one of the oldest subjects in mathematics, dealing with number theory. In spite of the long history of research, these areas of mathematics were always considered separate. However, starting in the 80’s, it was discovered that there is overlap between the two. “There is a deep connection between the two,” Ru said. In his research, he has applied techniques from the Nevanlinna theory to study the Diophantine approximation. This work has led to an accolade-filled career. This includes a three-year appointment as a Benjamin Peirce Fellow at Harvard University, articles in top journals such as the Annals of Mathematics, funding from the National Science Foundation, the National Security Agency, and Simons Foundation, as well as mentorship of numerous Ph.D. students. “Doing math is very joyful,” Ru said.